For the past year, 92-year-old Ernie has followed the same routine six days a week. Rain or shine, he gets into his car around lunchtime to make a three-mile drive from his home in Avon, Indiana, to his local Chick-fil-A restaurant, where he orders the same meal: 6-count Chick-fil-A Nuggets, Waffles Fries and a root beer. Beyond his impressive age and unwavering commitment to his favorite meal, Ernie’s service to his country makes him one of the restaurant’s most respected and cherished customers. As an 18-year-old, he enlisted in the Army during World War II, where he served with the 1st Cavalry Division. His unit was one of the first to arrive in Japan shortly before the country surrendered in September 1945. 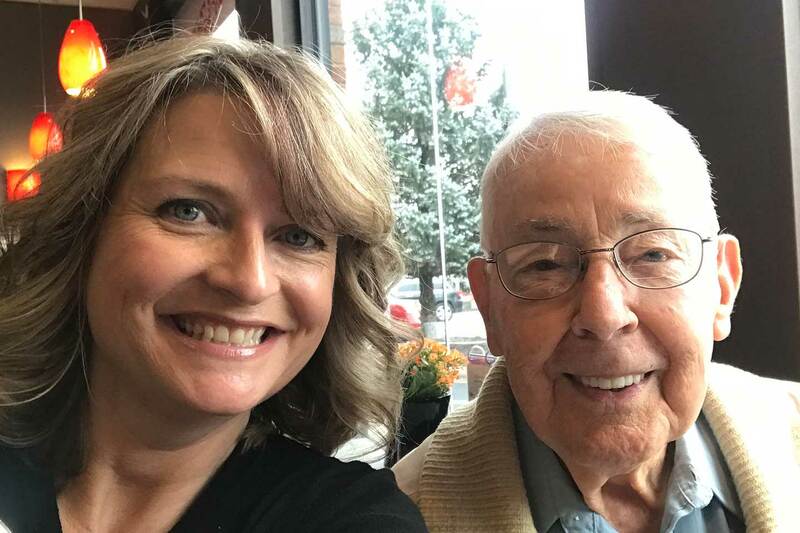 Ernie is one of many veterans that Chick-fil-A restaurants across the country honor for their service each year on Veteran’s Day, often with a free meal. But this year, the Avon restaurant’s franchise Operator, Chris Tincher, and leadership team decided to go one step further for their favorite customer. Tincher and his local restaurant team greeted Ernie when he arrived for his daily meal and presented him with something very few have ever received – free Chick-fil-A for life.